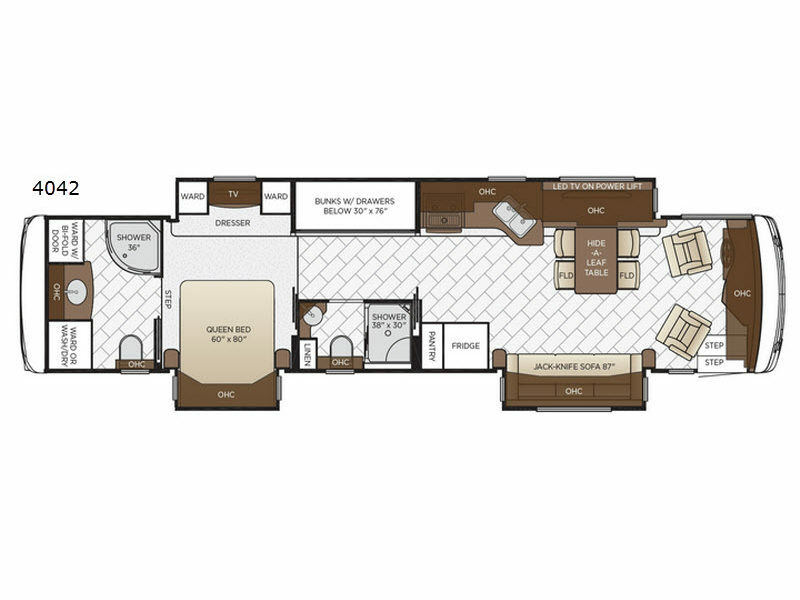 This Ventana LE 4042 offers a comfortable and luxurious home-on-wheels that you can take anywhere you want to go. Beginning with the kitchen, you will have everything you need to prepare and cook meals, plus dine or work at the hide-a-leaf table. The walk-through master bedroom includes plenty of storage and an LED TV, plus access to the rear full bathroom with a washer/dryer prepped closet. Just imagine relaxing on the 87" jack-knife sofa or the swivel captain's chairs while watching the LED TV on a power lift. The kids may be resting on the bunk beds or using the second full bath that is on the opposite side. There are space saving doors to make this a private area for them. 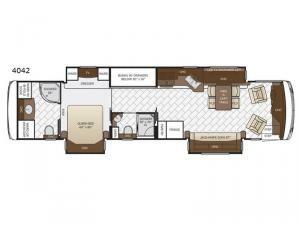 Come see what else makes this the perfect family RV!